Flagstaff is one of the best towns in which to live, work, and play. Whether you’re living in Flagstaff full time or looking for a vacation home in Flagstaff, you will love it here. 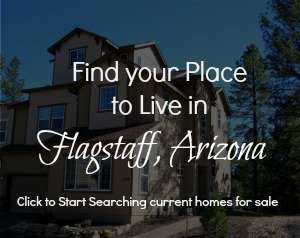 Looking for Flagstaff Homes for Sale? If you already live in Flagstaff, you might be considering moving to a different part of town – upsizing, downsizing, or just looking to get closer to work or school. Maybe you are living elsewhere and considering moving to Flagstaff, AZ. If you have kids attending Northern Arizona University, it may be time to purchase an investment property where your college student can live and you can earn income from their roommates. Or maybe you are just looking for a Mountain Retreat where you can relax and unwind. Whatever the case may be, Flagstaff is an amazing place to call home! Contact Team Three 23 with Realty ONE Group Mountain Desert to get started looking for your Flagstaff home.